Fayetteville police are now looking for four people in connection Friday's shooting death of a Fort Bragg soldier. FAYETTEVILLE (WTVD) -- Fayetteville police say Army Sgt. Duane Davis apparently argued with someone in a nightclub parking lot two-and-a-half hours before he was shot dead early Friday. Police want to talk with any other club patrons who may have been in the parking lot at the time of the altercation. "These folks are not suspects," said Fayetteville Police Lt. Todd Joyce. "These folks may have been in contact with the suspects prior to the altercation before our victim and his brother drove into the parking lot." The altercation took place in the parking lot of the Pearl Necklace adult night club. 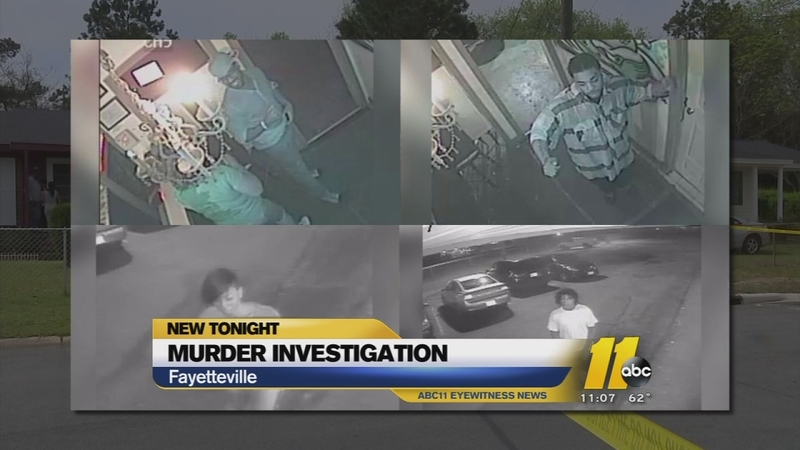 Police released surveillance pictures of several people who may have seen the suspect who police believe fired several shots into the Davis home in Fayetteville, fatally wounding Duane Davis. His brother was also in the home, but was not injured. Police said shots were fired during the parking lot altercation, but Davis and his brother got away. However, less than three hours later, Duane Davis was gunned down in the living room of his home. Police hope the people in the nightclub pictures can help pinpoint a killer, or killers. "Don't know if they were in some kind of general conversation with them," said Joyce. "Hopefully, they can ID the folks in the parking lot. That's what we are trying to find out, so we can identify the person our victim and brother were engaged in an altercation in the parking lot prior to his death." Police say they have talked with one of the people in the surveillance pictures, but investigators have not said what if any information that person may have revealed. Anyone with information is asked to contact Detective J. Walker with the Fayetteville Police Department at (910) 237-9391 or Crimestoppers at (910) 483-TIPS (8477).